A souvenir that you can enjoy for a long time. 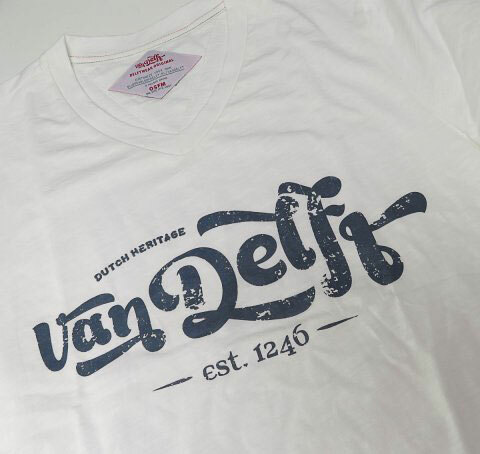 A VanDelft t-shirt is the most comfortable and fashionable Delft souvenir you can buy. This Retro Rustic print edition is only available in a limited edition of 100 pieces. It has a rustic navy blue print across the chest and a diamond shape emblem on the right sleeve. The V-neck t-shirt is made of 100% high quality cotton with strong durable stitching and a custom embroided neck label… fabricated to last. 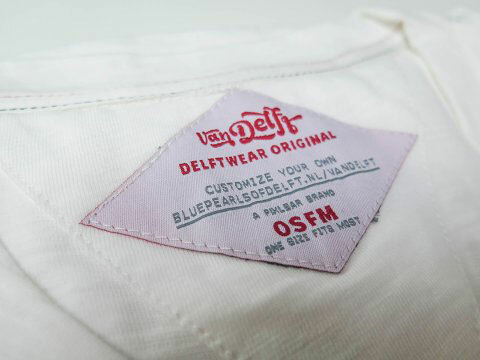 This premium retro print is exclusively available at Koffie & Zo. 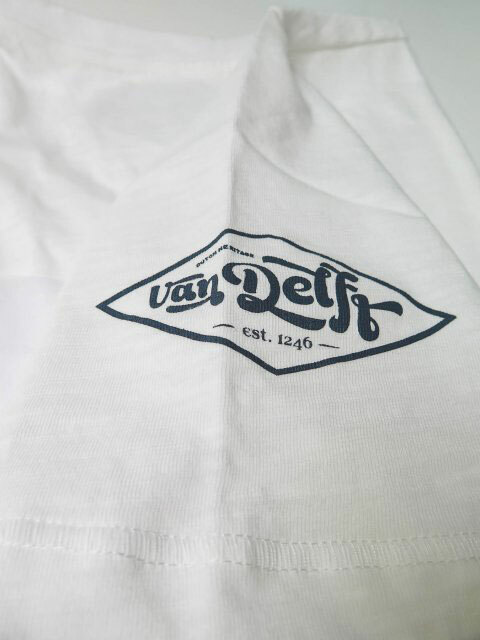 If you want to create your own product with other original VanDelft prints (inspired by the history of Delft) for application on hoodies, long-sleeve shirts, phone case etc. visit our Spreadshirt shop.